By clv4@duke.edu in OIT Training on February 16, 2017 . Missed this week’s Learn IT @ Lunch session – “DukeBox: The New User Experience”? Watch the session recording online. Note: You may be prompted to update your MS Silverlight Plug-in to view the recording. Also, session slides are available via this Box link: https://duke.box.com/s/mskh7lwm2z8zz6url6i47sr2exjg8inq. 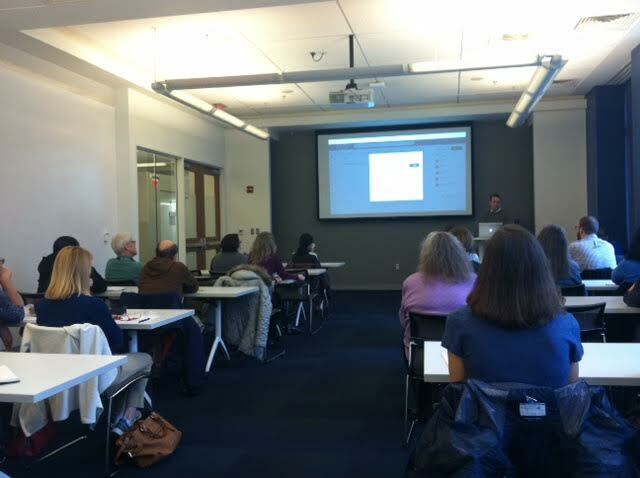 Our presenter, Matt Royal (OIT Collaborative Services) demonstrating new features of DukeBox.